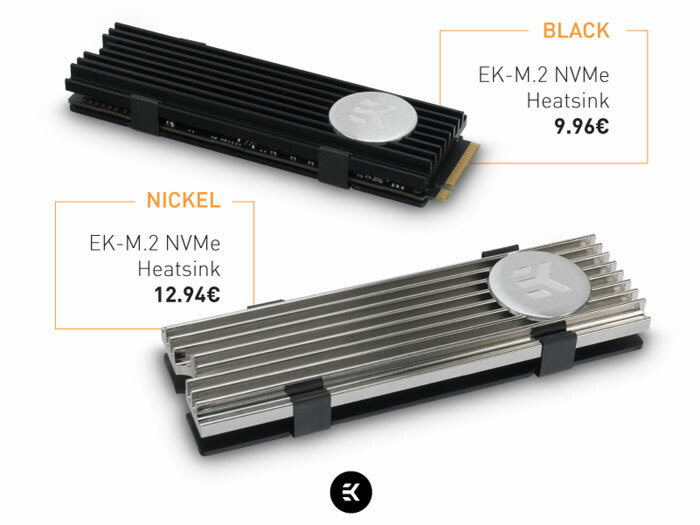 Performance liquid cooling expert EKWB has released a pair of M.2 NVMe heatsinks, available in black or nickel finishes. These are passive heatsinks, not a water cooling part as you might have expected from EKWB. However, these products can provide "a much needed aesthetical and functional heatsink for many PC owners," claims the company. It's good to hear about functionality being considered after the recent news concerning ineffective VRM heatsinks. High performance SSDs, including many M.2 NVMe devices, are known to throttle under sustained heavy loads. Of course such behaviour, due to overheating, is undesirable. 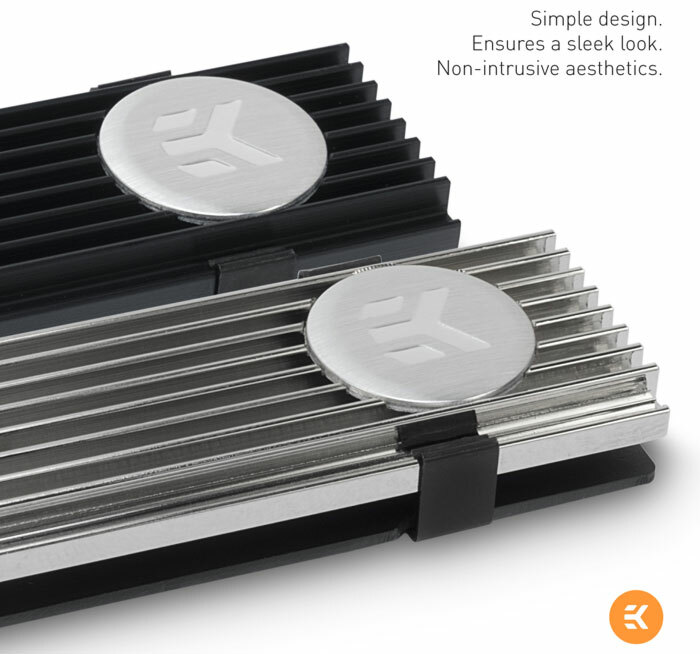 EKWB claims that its heatsinks are simple to install, low profile, easily reusable, and non-intrusive. Those are all attractive attributes within a well designed PC system. So how much of a benefit can a user expect from these passive coolers? 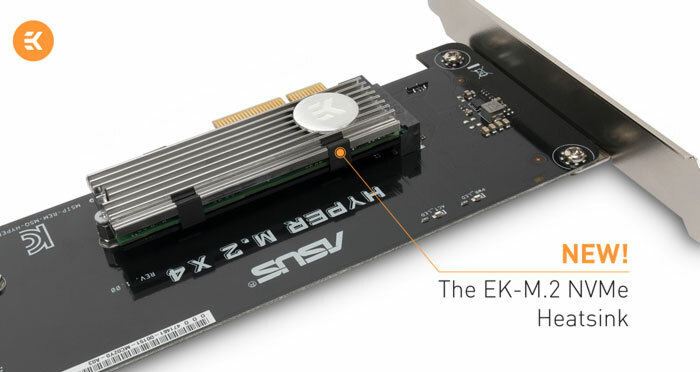 In EK's own testing either heatsink, they only vary in finish, delivers an 8-11°C improvement in SSDs temperatures, "or even more with sufficient air flow". If you are interested in purchasing one of these heatsinks you must consider compatibility. This first run of products is compatible with all single sided type 2280 M.2 NVMe SSDs (22mm wide, 80mm long). Furthermore your NVMe SSD must use an M.2 (NGFF) connectors of 4.2mm height. EKWB has priced these heatsinks at an agreeable and appropriate price of €9.96 for the black version, or €12.94 for the nickel finished version. Both types are in stock at the EKWB web shop at the time of writing. Well I like the look of them and the price is fair but how does it affect the m2 ssd warranty and does it actually work as they suggest…. Well at least they have fins, unlike MSI's non-effort. Substantially thick fins at that, not just a tin plate.